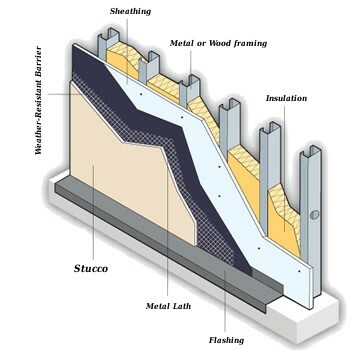 Stucco is a common building finish, so a lot of people seem to know a little about it. Stucco is a multi layer finish that is rot, rust, and fire resistant. Stucco can be colored and finished in a wide range of textures to meet your architectural vision. Stucco is applied wet and hardens to a very dense solid. Stucco is suitable for all types of weather conditions, from hot to cold and wet to dry. The weather-resistant finish is durable in all climates. It can be used as a coating for walls and ceilings and for decoration. Stucco can be applied indoors and outdoors. for more information about stucco or an estimate. 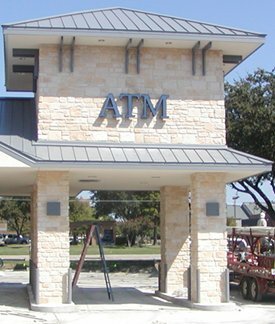 Synthetic stone is a masonry product, used as an architectural feature, trim, ornament, or facing for buildings. Synthetic stone is also referred to as Manufactured stone. Synthetic stone can be made from white and/or grey cements, manufactured or natural sands, carefully selected crushed stone or well graded natural gravels and mineral coloring pigments to achieve the desired color and appearance while maintaining durable physical properties which exceed most natural cut building stones. for more information about Synthetic Stone or an estimate. Venetian Plaster is a a Finishing technique using thin layers of plaster applied with a spatula or trowel and then burnished to create a smooth surface with the illusion of depth and texture. "Venetian Plaster" American-made term to explain the variety of different techniques and materials used to create the polished stucco finish. The term "Venetian plaster" is mainly used between architects and designers. Venetian Plaster is a surface coating product that, when applied properly, creates a smooth, surface with both movement and depth. Venetian plaster is typically troweled on with a stainless steel spatula in multiple layers for a smooth faux marble like finish. 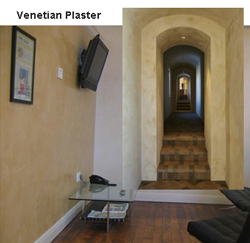 for more information about Venetian Plaster or an estimate.